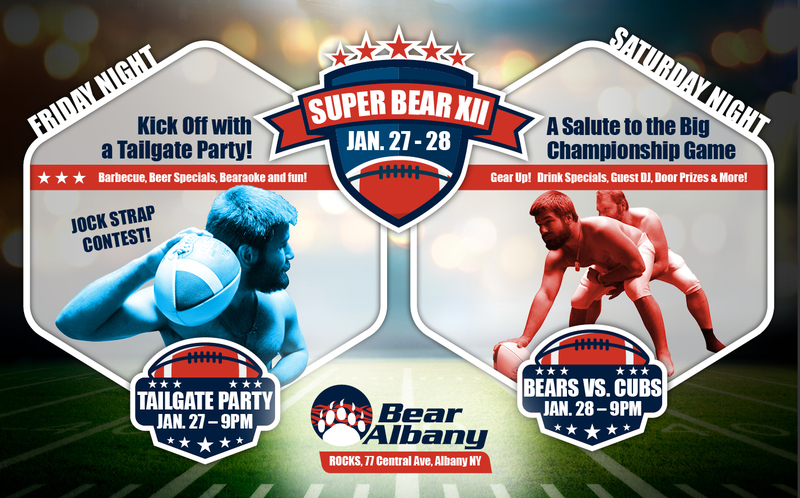 BEAR ALBANY is kicking off 2017 with a salute to that big annual football championship game that’s coming up soon. The name of our game is SUPERBEAR XII and we have a great line up for you! Everyone needs a good warm up before the big game. Work out in the gym, relax in one of the private rooms and shower off when you’re finished. Lunch is on your own at any one of Albany's finest eateries of your choice. We’re heading back to one of our favorite spots for brunch! McGeary’s Irish Pub in downtown Albany is a great venue and very BEAR friendly. Meet with the bears one last time before the weekend wraps up. Hotel check out is 11am so we will meet right after that. do not feel sorry for taking the time to read this post, it is really nice and useful to me, thanks for posting it. Thanks for the blog post buddy! Keep them coming. That is really nice to hear. thank you for the update and good luck.